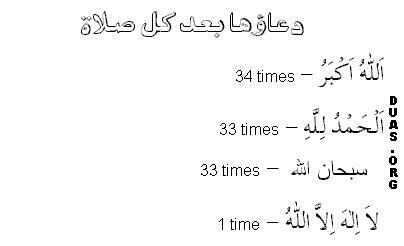 'Allahu Akbar' - 34 times, 'Alhamdulillah' - 33 times and 'Subhanallah' - 33 times. 1. One of the conditions of worship, rather the most important of them all, is being attentive in its performance. This is specially so in the recitation of Tasbeeh of Hazrat Zahra (s.a.).